While attending the German convention Connichi in 2016, I had the chance to meet with Character Designer and Animation Director Akio Watanabe also known as Poyoyon♥Rock. Mostly known for his work as a Character Designer on the Monogatari Series, he also worked on multiple games and anime series. I took that opportunity to ask him about the Kizumonogatari movies which were airing at the time, as well as broader questions surrounding his career. Do you proceed the same way when you create a Video Game design compared to when you work on anime? Akio Watanabe: Not at all. When I create a design for an anime, I try to make it as easy as possible for others to draw it, the easiest to animate. When it is for a video game, I am the one in charge of all the drawing, so I do them how I have them in mind. Can you tell us about your relationship toward Akiyuki Shinbo? I don’t know what M. Shinbo thinks about me, but from what I’ve heard he does like my designs a lot. The designs I do for video games are something he never sees in anime, and for that reason, he called on me. The first time we worked together was on Soreyuke! Uchuu Senkan Yamamoto Yohko. The main character of that show loves video games so I designed her as I would create a video game character. M. Shinbo tends to work on multiple projects at once, how is it to work with him? Do you want to know if it is hard to work with him? He does take care of much stuff, but he does not make any storyboards. He works on many projects at once but does little on each of them! That’s the secret to having much work! Absolutely! However, he’s also a sincere person. He won’t say he is working on something when he isn’t. He is more the kind of guy who would say “do this, this and that while I take care of those things”? Yes, this is precisely the kind of person he is. When you meet M. Shinbo, do talk with him about his work because he will tell you what he did and did not. At what point in time during production do you call for a Character Designer? 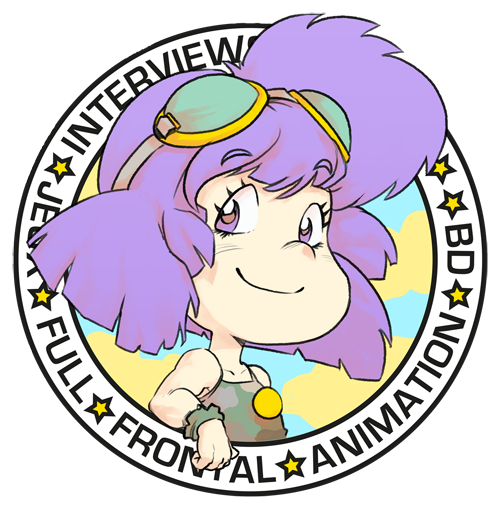 We start with a project which is brought by the producer, and almost immediately we call for a Character Designer even before a director is chosen. Once a Character Designer is called he decides what team he will work together. 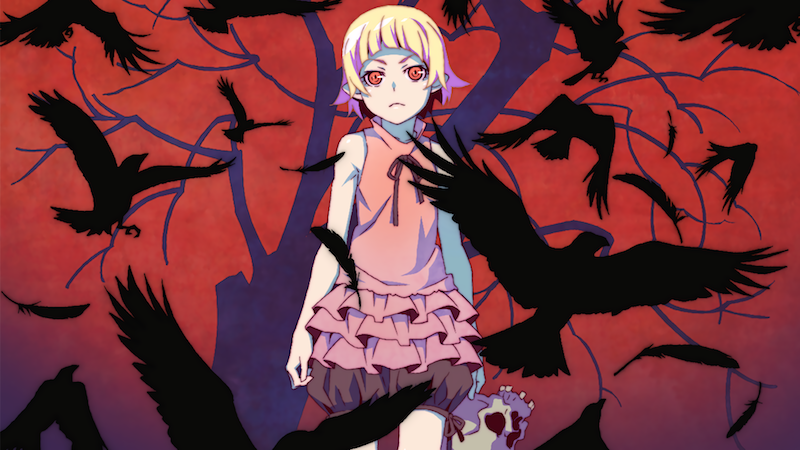 For a TV show like Bakemonogatari, it started one year before its airing. That is quite long for a TV show. It necessitated much effort. On regular TV shows, only about six months of production are needed. How do you choose the projects you work on? What is it that appeals to you? Regarding Bakemonogatari, it was because I like M. Shinbo’s directing. That is the reason I wanted to work on it. Moreover, what other projects do you have in mind? I was supposed to work with Makoto Shinkai, there was a rumor about him wanting me to work on Your Name, but in the end, it didn’t happen. He is interested in working with me, and so am I, we didn’t have the opportunity to yet. You are a fan of Yoshikazu Yasuhiko’s work, wouldn’t you like working on the Gundam the Origin OVA? It is because I love it that I don’t want to get involved with it. It is true that by participating I could meet M. Yasuhiko, but I’m too afraid. I’m too scared to disappoint. I am talented at drawing cute girls, so that is what I’m going to keep doing. As an Animation Director on the Monogatari series, what were the hardest and the best moments? We changed methods since then and hired more people on Nisemonogatari which made my work easier. How many people were working on Bakemonogatari? Usually, the way the work is done is by having several teams doing rotations. You may have five teams. The first one takes care of the first episode, the second one takes care of the second one and so on. On the sixth episode, the first team takes the work and so on. However, in this case, there was only one team taking care of all them! At that time at the studio, we were also working on other shows at the same time! Because I was a Character Designer, I was the only one who was only working on Bakemonogatari. The staff was working at the same time on Negima? !, Hidamari Sketch and Sayonara Zetsubou Sensei. The last one also started airing at the same time as Bakemonogatari. The same people worked on both shows. Regarding Kizumonogatari, the work was split into three movies, two of them are already out in theaters. Did dividing the film into three parts lighten the workload? At first, we wanted to do one big movie. However, when we finished the storyboard, we realized the film would have been at least three hours long. We then decided to split it into three parts because it couldn’t have been shown in theaters otherwise. It is also easier to distribute it that way. I must say it is more comfortable working this way. We have the best animators working on Kizumonogatari! Really? Can you give us some examples? There is Yoh Yoshinari but also Yasuhiro Nakura who worked on Laputa and Metropolis. If Yoh Yoshinari is working on the project, there mustn’t be much for you to correct! Back then, when you were an animator, what is your favorite scene you animated? The scene I took most pleasure animating was a scene in Magical Taruruuto-Kun when Mimora does ice skating. I also worked on the movie, but I had the most fun on the show. However, the cut where I gave my best was on Katsuhiro Otomo’s Spriggan where I animated action scenes with missiles and explosions, lots of “TAPPAN” and smoke. It is thanks to Hisashi Eguchi that I was able to work on Spriggan. He was the animation director on Taruruuto-Kun, and he was called out to be Character Designer and animation director on Spriggan. He enjoyed my work on Taruruuto-Kun and asked me to work on Spriggan. What movies and anime do you like? Regarding movies I love Science Fiction, my favorite films are 2001 A Space Odyssey, Blade Runner, Back to the Future and Star Wars. As for anime, I love old shows such as Gundam and Ashita no Joe. I also play some video games. The first Street Fighter is my favorite even though I have played all of them. I must have spent the most time on Street Fighter 3 though. Finally, which one is your favorite, Mirai or Sayla Mass?